If you have Amazon Prime, you may realize that your membership grants you access to a number of “free” videos on their site. 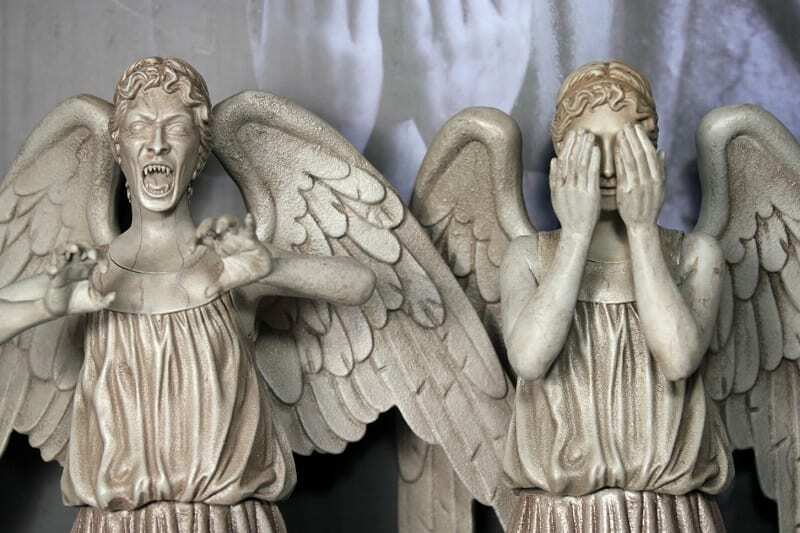 Unfortunately, they don't make it terrible easy to navigate, and it can be tricky finding all the British shows on offer. To help you out, we've compiled a list of their current Prime eligible offerings as of November 2016. Bear in mind that this changes regularly, so not all these titles will stay available forever. If you don't have Amazon Prime, you can click here to sign up. Your 1-year Prime membership gives you free 2-day shipping and viewing of all the titles below (and many more that aren't British or Britain-related). Finally, if you're not sure how to get Amazon videos on your television (as opposed to watching on your computer or tablet), scroll to the end where we discuss your options. There are devices as affordable as $29.99 that will help you get Amazon, Hulu, Netflix, and Acorn on your television so you can watch them on a full-size screen instead of a tiny computer screen. The Ambassador – With Prime, you can watch series 1 and 2 of this political drama about Britain's newly appointed ambassador to Ireland. Doctor Who – Fans of the science fiction/drama series will be delighted to know that series 1-6 of the modern Doctor Who are available for free viewing with a Prime membership. Upstairs, Downstairs – Amazon Prime offers two series of the modern reboot of this much-loved British classic. Lark Rise to Candleford – Set in 19th century Oxfordshire, a young woman moves to begin an apprenticeship as postmistress. Torchwood – This modern Doctor Who spinoff features Captain Jack Harkness as head of Torchwood, an elite team of UK investigators using alien technology to solve crime. Breathless – This period drama is set in a London hospital in 1961, just at the edge of a cultural revolution. Masterpiece: Indian Summers – This drama dives into live in a social club during the final years of British colonial rule of India. Home Fires – In WWII-era Britain, a group of women get by in a small village. Primeval – Amazon Prime lets you enjoy five series of this unique time travel/adventure series. Collision – This is the story of a major road collision and how it affects the lives of people who have never met. Poldark – Ross Poldark returns home to Cornwall after fighting in the American Revolution, only to find his personal life in ruins. Doctor Thorne – This series tells the story of penniless Mary Thorne and her relationship with a wealthy family nearby. Bleak House – This suspenseful adaptation of the Dickens novel tells of legal injustices in Victorian England. Wolf Hall – Based on Hilary Mantel's novel, this historical drama is set in Henry VIII's court in Tudor England. Masterpiece: Inspector Lewis – Amazon Prime currently allows you to view the first seven series of this popular Oxford-based mystery series. 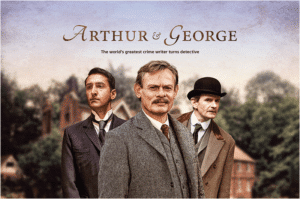 Arthur & George – Martin Clunes (of Doc Martin) stars as Sir Arthur Conan Doyle in this lovely adaptation. The Escape Artist – David Tennant (of Doctor Who fame) stars in this murderous miniseries. 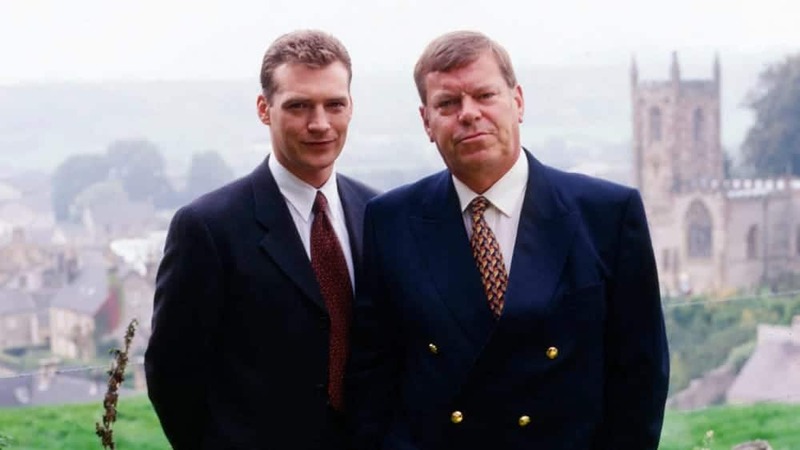 Endeavor – This series is a prequel to Inspector Morse, and a Prime membership lets you watch the first two series for free. The Worricker Trilogy – This political thriller stars Bill Nighy as MI5 officer Johnny Worricker, and features an impressive set of British and American guest stars. Amnesia – Detective Stone struggles mightily to unravel and come to terms with the disappearance of his wife. 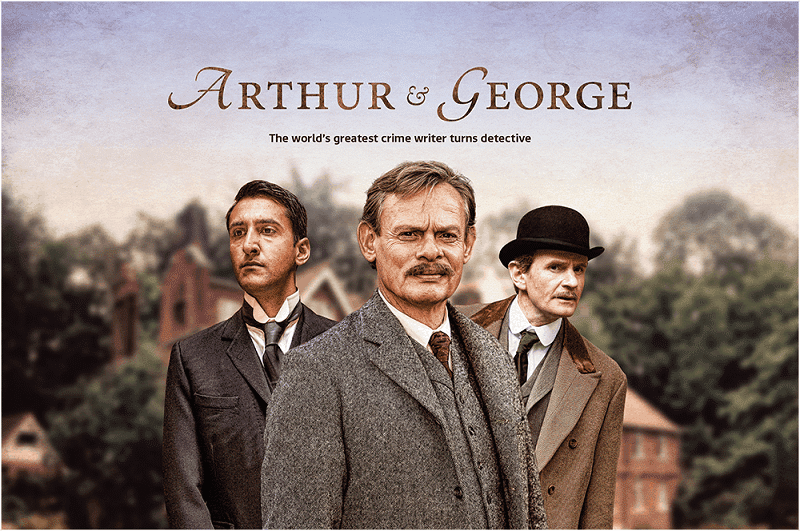 Thorne – Based on Mark Billingham's crime novels, this series features David Morrisey as Detective Thorne. The Widower – This miniseries is based on the crimes of convicted murderer Malcolm Webster. 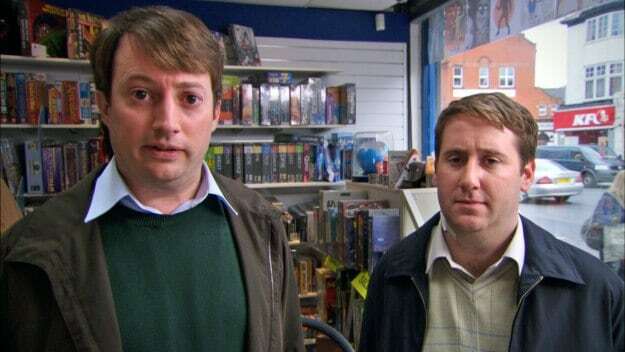 Peep Show – At present, Amazon Prime offers 8 series of this popular British odd couple roommate comedy. 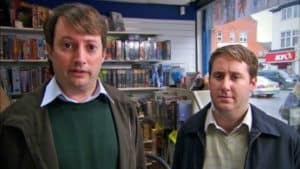 Little Britain USA – British tourists Lou and Andy travel the USA. Family Tree – This hilarious series follows one man's efforts to track down the members of his family tree. Life's Too Short – Warwick Davis stars as a scheming actor aiming to be nothing less than Britain's number one little person. Smart Travels with Rudy Maxa – Although not exclusively about Great Britain, this series includes episodes in London, the London countryside, Dublin, Ireland's West Coast, Bath, South Wales, Edinburgh, and St. Andrews (not to mention a lot of other lovely cities around the world). Derek Acorah's Ghost Towns – This paranormal investigation show takes you around England with host Derek Acorah. Discover England – With 13 episodes on different regions of England, this series is a wonderful way to experience England when you can't actually be there. The Celts – Amazon Prime offers all 6 episodes of this award-winning series. Flavors of Scotland – 6 great episodes that take you to places often overlooked by other travel shows. Scotland! – It's a bit dated, but this 1 hour and 23 minute program on Scotland still offers beautiful scenery. Discover Scotland – Heavy on the history, this series offers three 1-hour episodes that take you around Scotland. There's actually a fourth episode, but for some reason it's not available on Amazon. English Towns & Villages: The Cotswolds – Few parts of England are as immediately recognizable as The Cotswolds. Though dated, this one hour program does an excellent job of showing off the scenery and including local history. 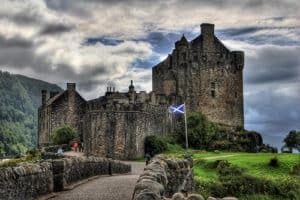 Memories of Scotland – This 48-minute program focuses on the major tourist attractions in Scotland. The English Lake District – This series gives you a glimpse into life in the far northwest corner of England. Europe's Classic Romantic Inns: Scotland – It's short, and the quality is a bit lacking (it's rather old), but it's still an enjoyable 18 minutes. Bath, England – This extremely short 4-part series offers excellent views of Bath, and would be perfect for anyone who is considering including it on an upcoming trip. The North York Moors: A Land for All Seasons – This one-hour program focuses on the gorgeous landscapes of North York. On Tour Exploring the Extraordinary The Jacobite – This short program is perfect for the railway lovers. British Inland Waterways – If you've ever dreamed of lazily floating along the beautiful canals of England and Scotland, this series will be sure to delight. The Scottish Covenanters – If you enjoy 17th-century Scottish history, you'll love this 54 minute program. Mysterious Places of Scotland and Ireland: Swans of Loch Lomond – No dialogue, just scenery. Enjoy the views. Warwickshire, Home of Shakespeare – This hour and a half documentary takes you on a lovely tour of the county of Warwickshire. Wales Land of Song – This hour and a half program features a musical journey through Wales. Alternate Routes: Edinburgh – This unusual travel piece lets you follow along with young backpackers in Edinburgh. 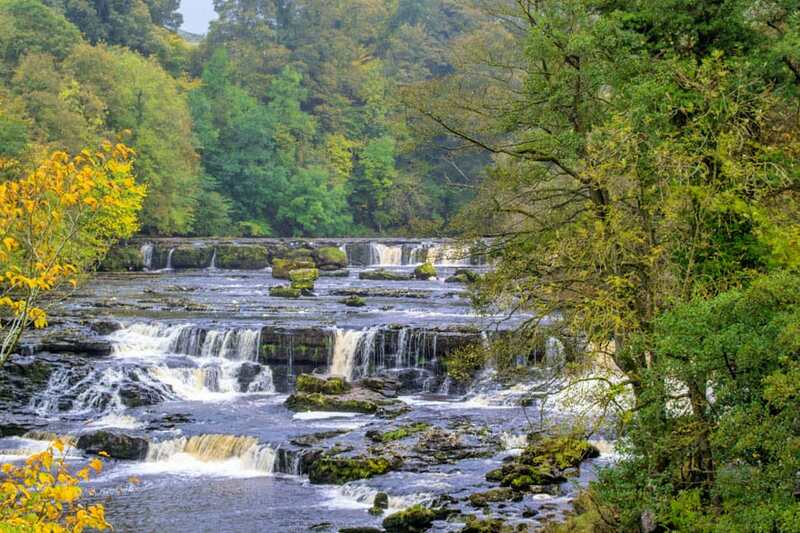 Yorkshire Dales: A Landscape of Longing – Travel around the beautiful Yorkshire countryside in 52 minutes. The Perfect British Village – Actor and broadcaster Nigel Farrell takes you out in search of the perfect British village. Ghosts of the Underground – This fascinating program discusses the history and ghostly happenings in the London Underground. London: A City in Time – This program walks you through the city and history of London. Westminster – Learn what goes on behind closed doors of Westminster in this documentary filmed by Tony Benn over 12 months. Great Estates of Scotland – This four-part series includes episodes on locations around Scotland, including Rosslyn Chapel (perhaps best known because of the Da Vinci Code). Great British Ghosts – I've never been a fan of the night-vision, over-hyped ghost shows here in the US, but this series offers a ton of interesting stories and gorgeous scenery. The Seasoned Traveler: Scottish Castles – This brief program tours a number of Scottish castles. 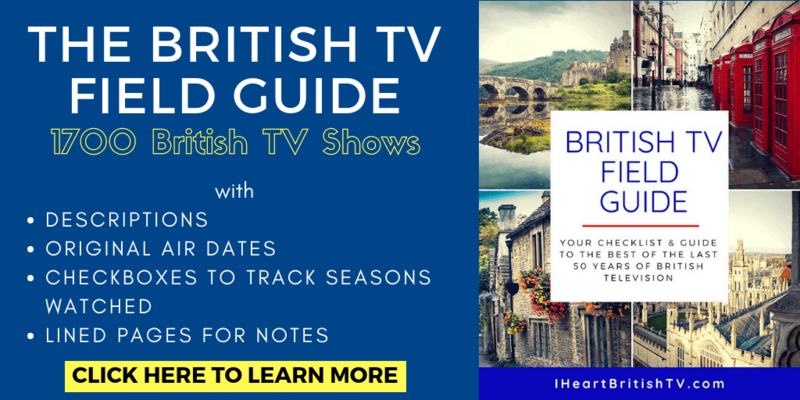 It's Great Britain: A Jolly Great Journey Round England, Scotland, and Wales – This program offers a historical tour of many of the great sites of England, Scotland, and Wales. Undiscovered Wales – Often overlooked, this series takes you on a lovely journey around Wales. Walks Around Britain – Britain is one of the greatest places in the world to go walking, and Amazon Prime lets you enjoy two series of short scenic walks around the countryside. 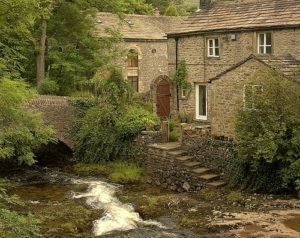 Europe's Classic Romantic Inns: Shakespeare Country – Though the quality is a bit lacking, this is still a lovely way to explore the region from your couch. Lord Montague – Upstairs, Downstairs and Downton Abbey fans will enjoy this documentary on one of 20th century England's most controversial aristocrats. East Sussex Medieval Village Churches – This hour-long program explores 12 medieval churches in East Sussex. English Towns & Villages: Stratford-Upon-Avon – Though a bit dated, this program offers great scenery and a bit of history. Chatsworth – Explore this stately home in a one-hour video tour. Secrets of Iconic British Estates – This series offers in=depth tours and history of three different English estates. Secrets of London – This high-quality PBS series gives you a behind-the-scenes look at many famous British landmarks. The Manners of Downton Abbey – Alastair Bruce, historical adviser to Downton Abbey, gives you the insider's look at how the series was made. Hidden Killers – This series dives deep into the hidden killers in Victorian and Edwardian homes. Shakespeare's Tomb – This one-hour PBS Special sees a team of archaeologists embark on the first-ever scientific investigation of Shakespeare's tomb. Travelview International English Countryside – This 25-minute program takes you rambling through the British countryside. Kent and Sussex Visits – This brief program takes you to three historic sites in Kent and Sussex. Naxos Scenic Musical Journeys: Scotland, a Musical Tour of the City's Past and Present – This 30-minute program is an excellent choice for scenery buffs. Gardens of the National Trust – Four episodes take you to some of England's finest gardens. The Great Gardens of England – More eyecandy for English garden lovers. 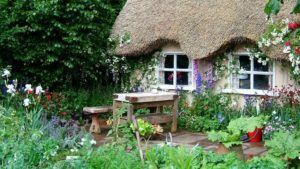 English Cottage and Country Gardens – This video explores 8 private gardens and offers a bit of advice along with the scenery. 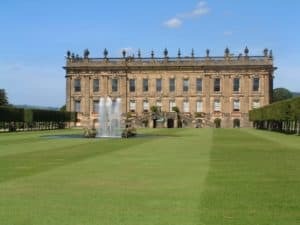 The Great Gardens of England – Though it has the same name as another entry on this list, this one is actually a series of episodes that each feature gardens in different parts of England. 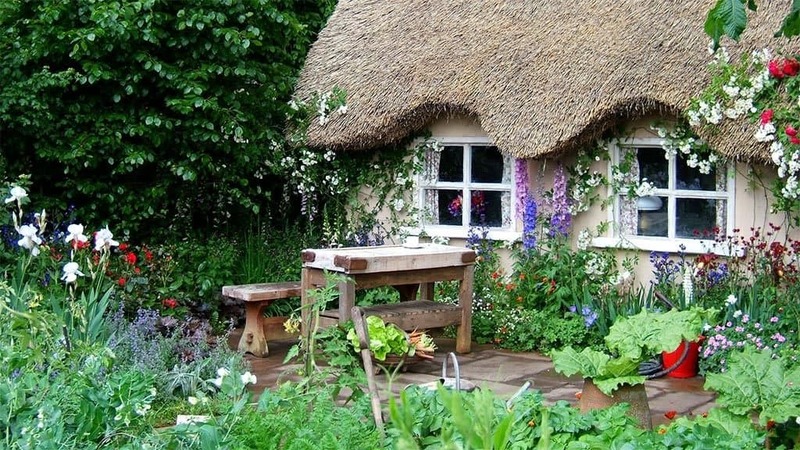 Secret Gardens of England – In this program, you'll visit 8 lesser-known but still very beautiful gardens in England. Gardens of the World: The Exotic Gardens of Cornwall – With a different climate and culture from much of England, Cornwall's gardens may surprise you. The Spirit of England: Part 1 and The Spirit of England: Part 2 – Nigel Farrell takes you to some of the greatest historical sites of England. The Real Cornwall – Spend an hour immersed in Cornish landscapes and culture. Not sure how to enjoy these programs on your television instead of your computer? There are a few devices that make it very simple, and all are under $100. Check out these simple devices that can help you enjoy not just Amazon, but also Netflix, Hulu, and Acorn on your television. Amazon Fire – This is Amazon's best streaming device, and it offers excellent video quality along with the ability to stream programming from your Amazon, Hulu, and Netflix accounts. I used to have one, but I ended up getting rid of it in favor of the Amazon Fire Stick and Roku because I didn't really care about the increased video quality or extra features. Amazon Fire Stick – At just $39.99 (occasionally less with sales), this device is one of the most affordable ways to get streaming videos to your television. I personally have one, and I've been very pleased with the value for the money. Roku Express – This new and highly affordable ($29.99) device from Roku is the cheapest way to get streaming programming to your television. Roku 3 – This is a more full-featured Roku device, and it's a great option if you are highly concerned with having all the extra bells and whistles. For most people, an Amazon Fire Stick or Roku Express will be perfectly sufficient. If this is all still confusing to you, feel free to let us know in the comments. We've been contemplating a super in-depth “for dummies” style guide to using streaming devices to watch British TV. If there's interest, we'll definitely put that together. Happy watching!